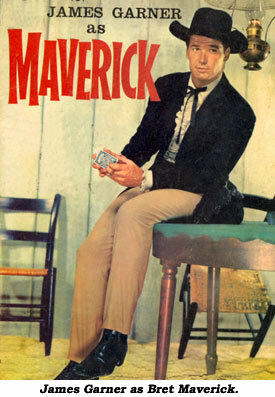 “Maverick” was an exception to the saturation of TV westerns airing in the ‘60s. Although when it debuted on Sunday night (9/22/57) on ABC, it was pretty much a straight-forward western, but it rapidly found its own unique way. mercenary, would rather earn a living gambling than by hard work and were firm believers in self preservation. Not cowardly at all, just reluctant to get involved, although pretty girls (many of them con-women) like Kathleen Crowley, Merry Anders, Diane Brewster and Ruta Lee usually dragged them into one scrape or scheme or another. Bret and Bart didn’t always come out on top—often by episode’s end they were broke, swindled or frustrated. “Maverick” turned traditional TV western themes inside out—all in the wink of an eye. “Maverick” was humorous without going over the top to make fun of westerns or being crude about it as “Blazing Saddles” and others of that ilk did. It was the only western able to poke fun at other westerns on the air. 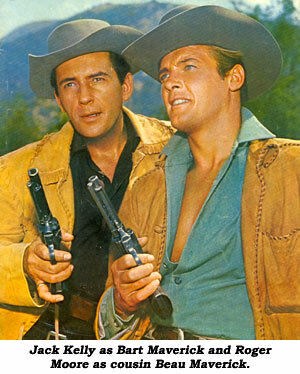 “Gunsmoke” was spoofed in “Gun-Shy” (which also contained an in-joke about “Have Gun Will Travel”) and “Three Queens Full” satirizes “Bonanza”. Roy Huggins, who had been producing “Cheyenne” for Warner Bros., didn’t like the sameness of TV western heroes. It was he who conceived of the good-natured, irreverent, fresh approach to westerns with “Maverick” and produced it for two years. Seasons one and two relied on a wry, understated humor that evolved into a broader state in the last three seasons under new producers Coles Trapnell and William Stuart. Bret and Bart’s surname originates from the cattlemen’s term for one who doesn’t run with the herd—a maverick. 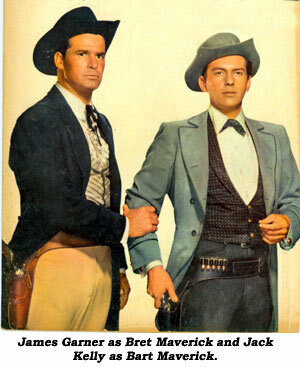 Huggins had used James Garner as a fledgling actor in an episode of “Cheyenne” and saw in him qualities he could use for his amiable drifter, “Maverick”. The late Budd Boetticher was assigned the job of directing the first “Maverick” episodes. He’d seen Garner in “Sayonara” and liked him. 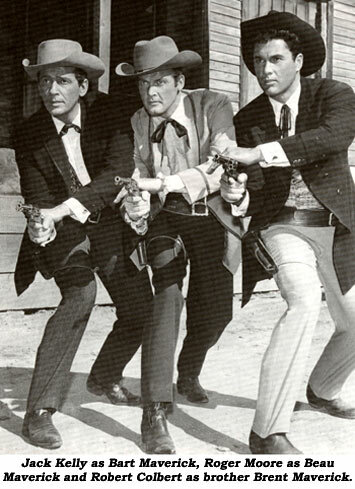 Although Budd and producer Roy Huggins did not always see eye to eye on the character Huggins developed—“Maverick was a hero who didn’t like being a hero,” Huggins has said—Budd’s friendship and association with Garner prior to filming helped the two men develop the reluctant hero of Bret Maverick. 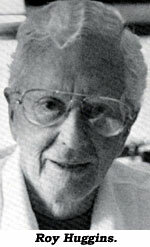 Budd directed the first three episodes—“War of the Silver Kings”, “Point Blank” and “According to Hoyle”. Although “Point Blank” aired as the second show, it was intended as the pilot (note the missing theme music not yet instigated) until Jack Warner’s mandate against paying royalties to writers for the creation of a series based on their own original material (that being Roy Huggins) caused Huggins to write another pilot based on a property already owned by Warner Bros. which turned out to be a non-fiction book by C. B. Glasscock, WAR OF THE COPPER KINGS. “Point Blank” was rewritten by Huggins from a screenplay by Howard Browne (“The Burning Sky”) which, although not mentioned on screen as it would look clumsy, Browne re-wrote from Huggins’ story, SAGA OF ONYX O’NEILL. Incidentally, the roan horse Maverick rides in these episodes is Gitano and belonged to Boetticher, an expert horseman who didn’t care for any of the “nags” in the WB stable. Although it appears at the end of “War of the Silver Kings” as if Leo Gordon (as Big Mike McComb) would be Maverick’s sidekick of sorts, this idea was quickly abandoned and Gordon appeared on only a handful of episodes. “War…” was indeed a better opening episode as it established Maverick’s custom of pinning a $1,000 bill inside his lapel as well as his poker playing ability. 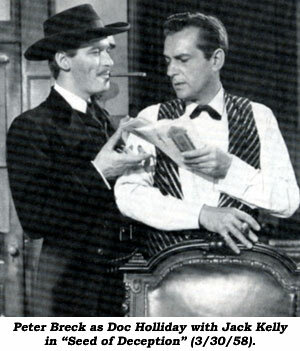 Because 27 episodes were needed for the first season, and one hour “Maverick” shows were taking up to 10 days to shoot, it was decided a second production unit would be formed with another Maverick—who turned out to be Jack Kelly (others auditioned were Stuart Whitman, Rod Taylor, Don Durant and Richard Jaeckel). Kelly came aboard with the eighth episode (11/10/57), “Hostage”. From there on, the two actors pretty much alternated weeks and appeared in a handful of episodes together. Garner left the show at the end of the third season (‘59-‘60) to pursue a film career even though he was offered the highest TV contract in Warner Bros. history to stay on. 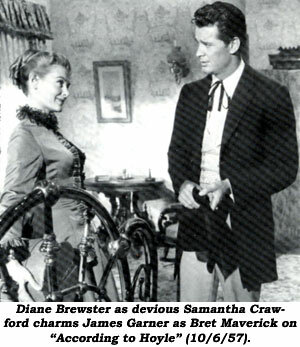 “The Maverick Line” that aired in the fourth season was shot prior to his 11/20/60 departure. As a replacement, Roger Moore came on board in season four as cousin Beauregard from England, the white sheep of the family. His first was “Bundle From Britain” (9/18/60). When Moore left after 15 episodes, WB contractee Robert Colbert was hurriedly rushed in at the tail end of season four as heretofore unmentioned third Maverick brother, Brent. But Colbert was never really given a chance in his two lone episodes and did not return for season five. To try and restore sagging ratings for the fifth season (‘61-‘62), Warner Bros. rotated 13 new Kelly episodes with Garner reruns from the first two seasons. But the glory was over after 124 episodes on 4/22/62. 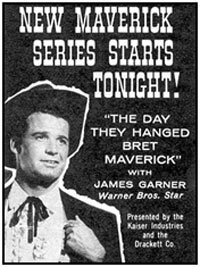 “Maverick” burned hot and fast, won an Emmy in ‘59, dominated television for two years but with Garner’s departure it quickly fell from favor and has not retained the long-lasting status of “Gunsmoke” or “Bonanza” which continued for 20 and 14 years respectively. 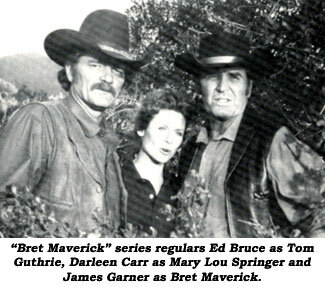 Other semi-regular characters on “Maverick” were Diane Brewster as Samantha Crawford, Efrem Zimbalist Jr. as Dandy Jim Buckley, Leo Gordon as Big Mike McComb, Gerald Mohr then Peter Breck as Doc Holliday and Richard Long as Gentleman Jack Darby. Luis Delgado, Garner’s long-time stand-in, can be seen in some episodes, in particular as a gunman in “A Rage For Vengeance”. Delgado is Adele Mara’s brother. The former Republic leading lady has been married to producer Huggins for over 40 years. She naturally appears in several episodes. starred in “Bret Maverick” in ‘81-‘82 which lacked the flavor of the original. Kelly was Bart in one episode (“The Hidalgo Thing”). Kelly played Bart in “Gambler Part 4” (‘92) and Garner returned to the role for the feature film with Mel Gibson in ‘94. “Maverick” launched Roy Huggins into one of the top producers on TV, catapulted Garner to fame and solidified the struggling ABC network.